The Scientific Industries Vortex Genie provides you with touch operation, and consistent vortex mixing at a vigorous 3200 RPM. 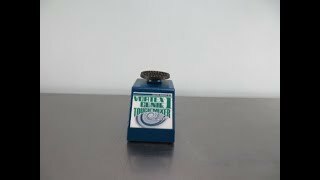 This lab vortexer is easy to operate simply press the flat flask platform and shaking will begin. The Vortex Genie 1 has rubber feet and just enough weight to keep the vortex shaker from walking while in operation. This Scientific Industries Vortex Genie Touch has been fully inspected and is operating without issue. All of our lab equipment comes with our standard warranty. Should you have any question, please don't hesitate to contact us.